In stock! We have 10 of these ready for immediate dispatch or more available on demand. 600mm wide, 1200mm tall. Chrome plated art deco style towel warmer. Perfect in bathrooms. Superior build quality towel warmer. 600mm wide, 1200mm tall and 125mm deep. 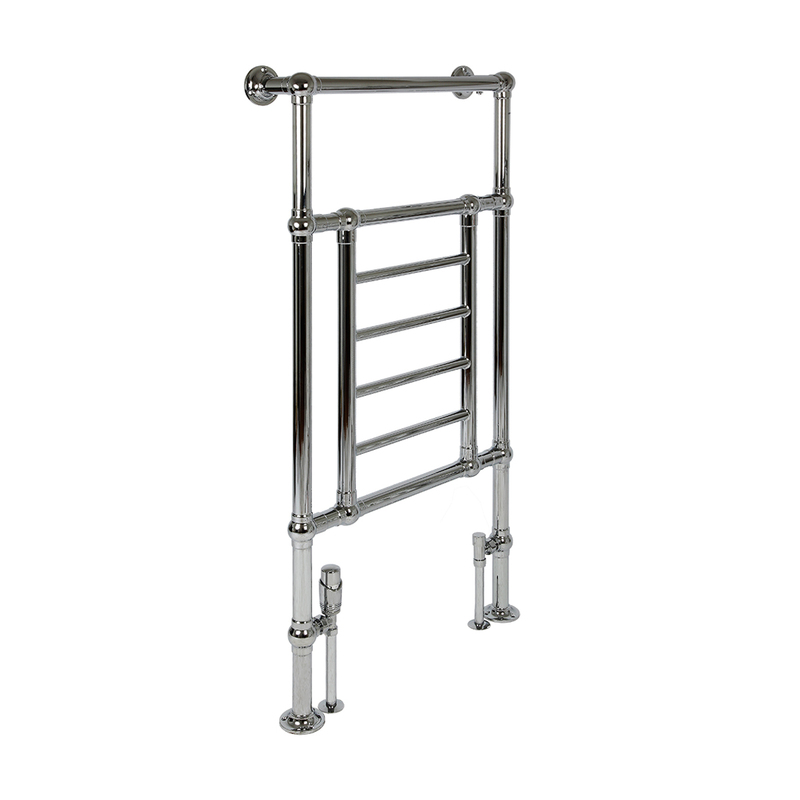 Chrome plated steel frame central towel warmer ladder. Made in Europe to ISO 9001:2008 and EN442.